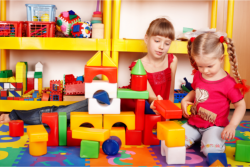 Pasadena Child Care and Homework Center’s Early Preschool/Preschool program is designed for your child’s young, imaginative and curious mind. Your child will be exposed to shapes, letters, colors, creative arts, music and numbers as well as fun learning play time. Safe and age-appropriate toys and reading materials are provided to match the intellectual and cognitive aspects of your child.